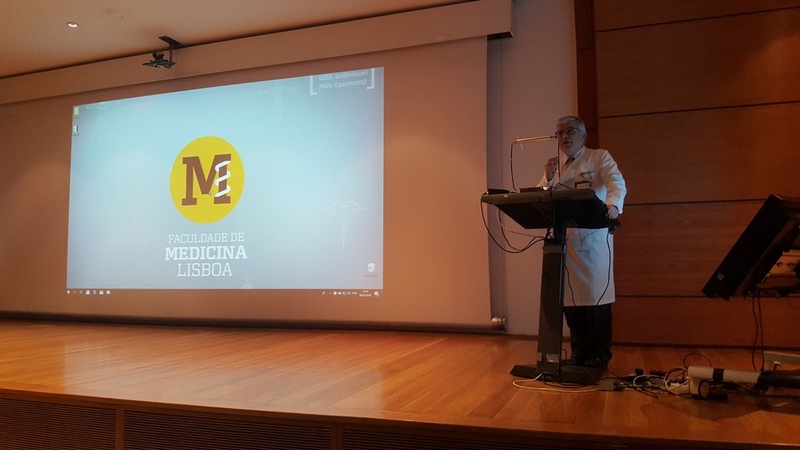 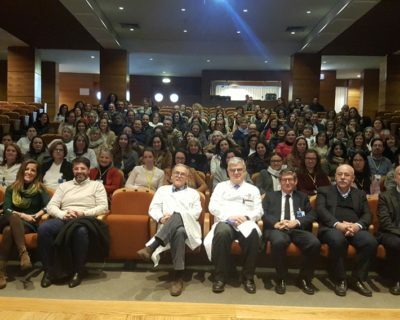 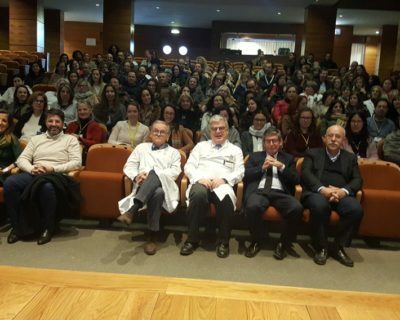 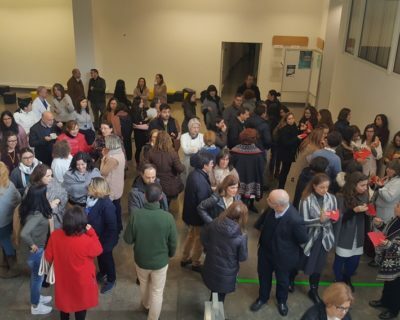 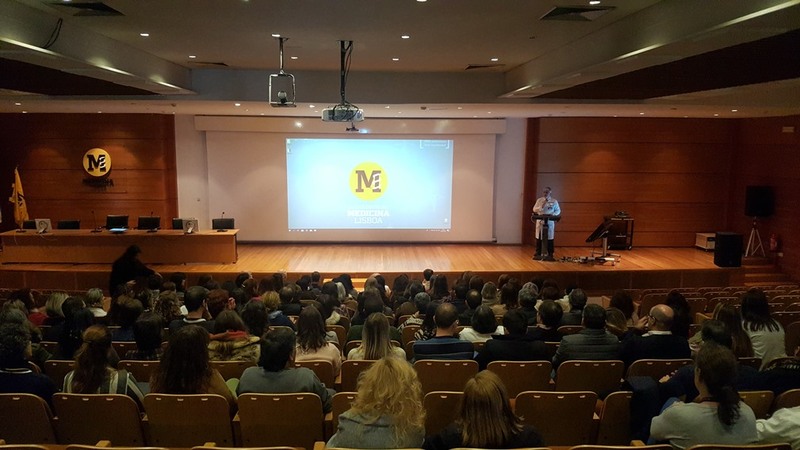 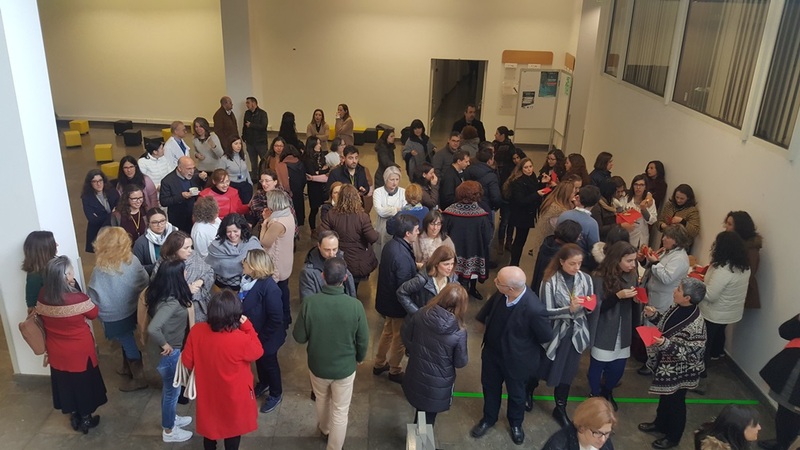 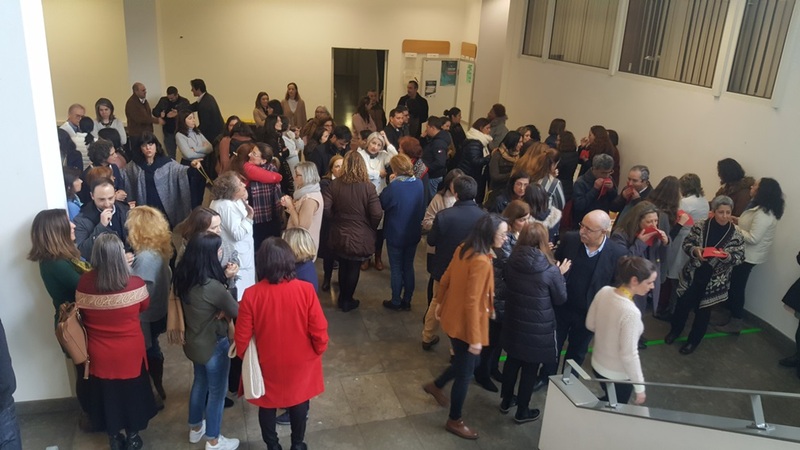 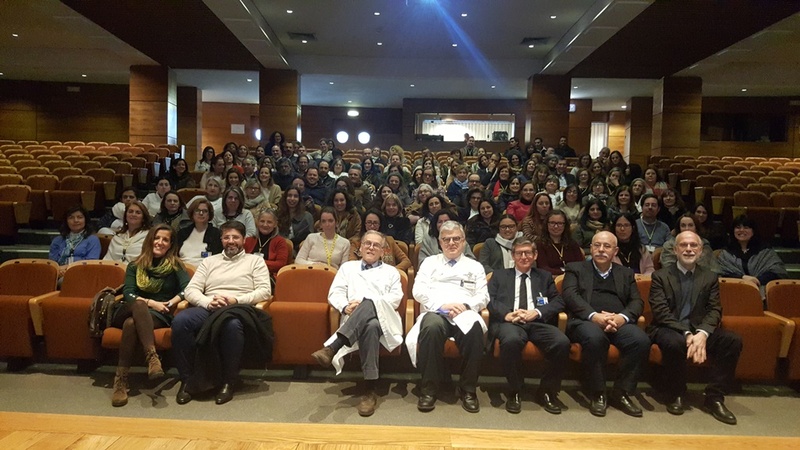 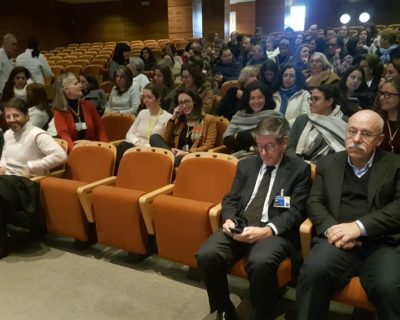 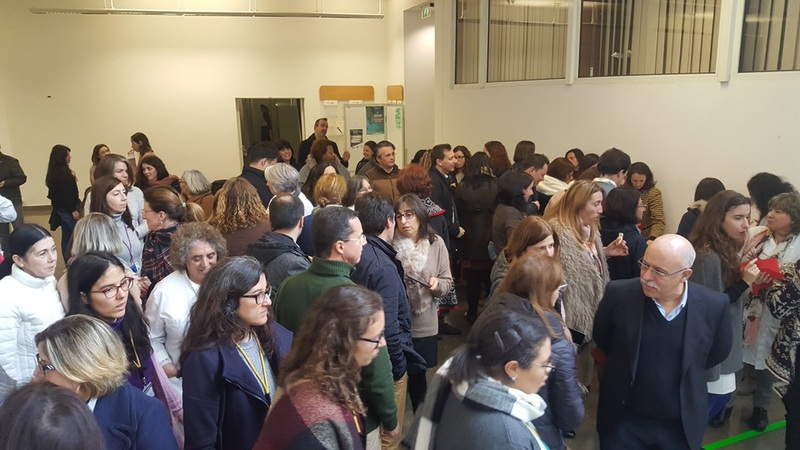 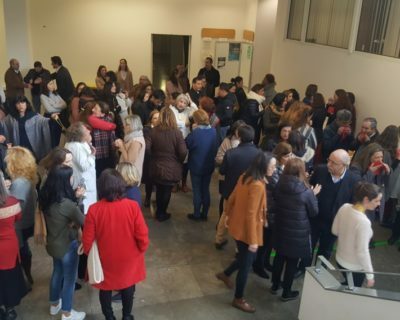 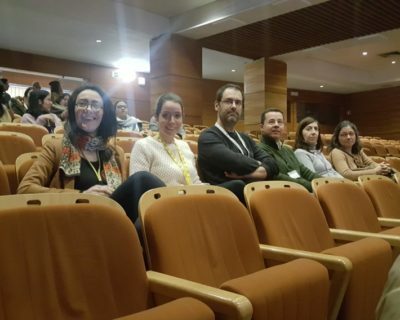 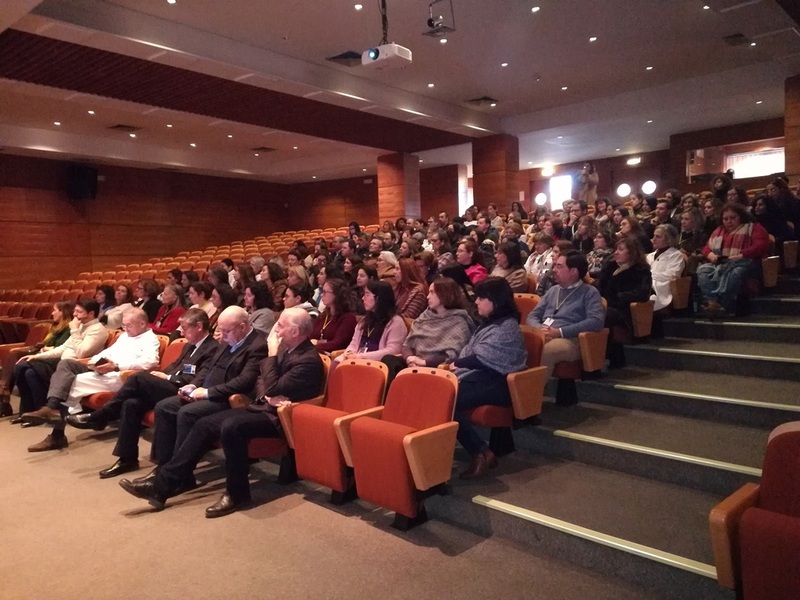 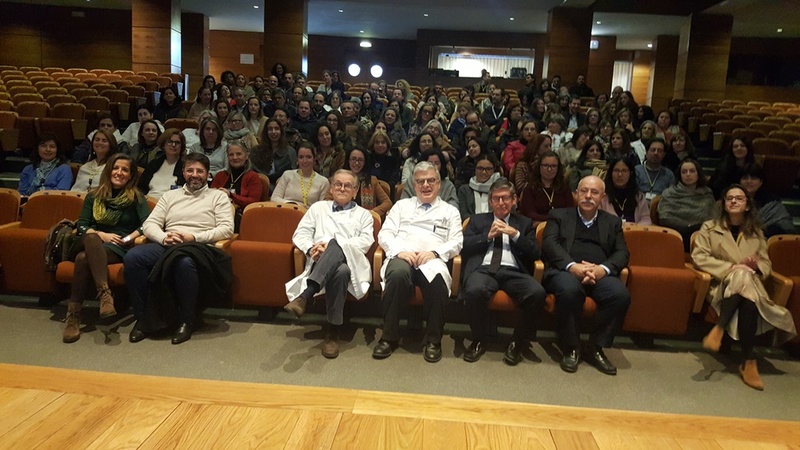 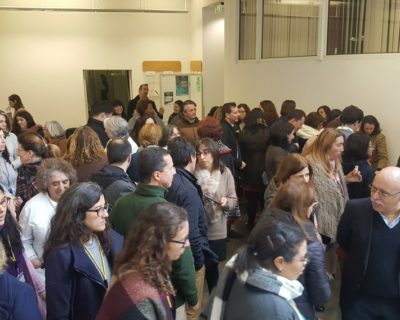 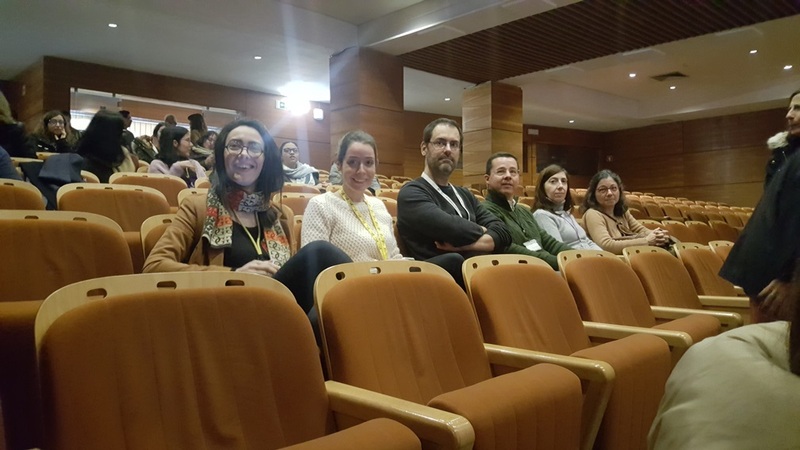 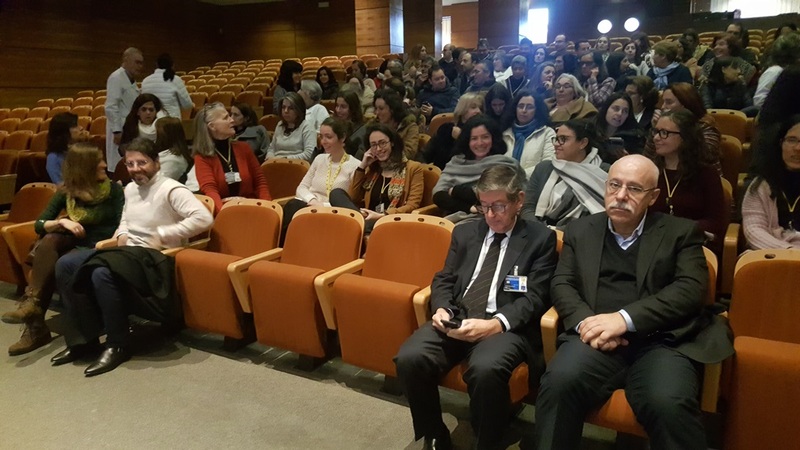 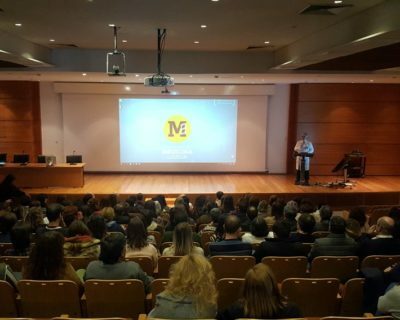 As Prof. Fausto Pinto said in his post on Twitter, on January 4, the Egas Moniz Building witnessed an event that is “already a tradition”, “ the New Year’s lunch with the staff of @medicina_lisboa. 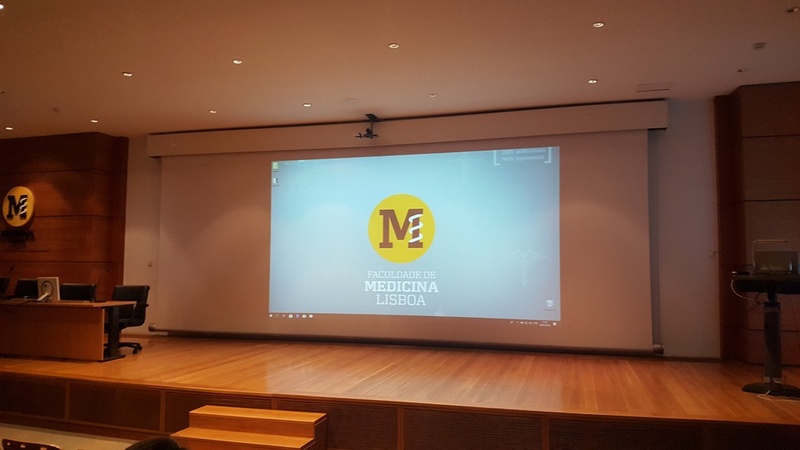 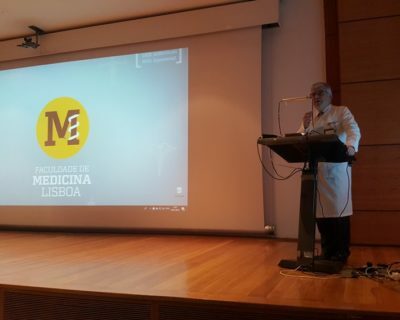 The event started at 12h30, in the João Lobo Antunes Auditorium, where the Director of the Faculty had the opportunity to thank all the collaborators of the Faculty for their determination and dedication, referring how important it is to “wear the faculty’s shirt “, since we are responsible for supporting training of the next generation of doctors. 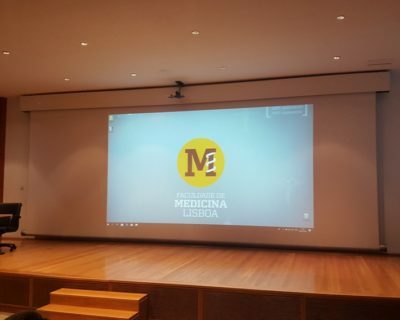 2018 is overall seen as a positive year, but he is looking forward to the inauguration of “Aula Magna” and the new Reinaldo dos Santos Building in 2019, as well as to a continuous investment aimed at increasing the value of the staff through professional training to consolidate their skills and keep the FMUL in the Portuguese medical education rankings. 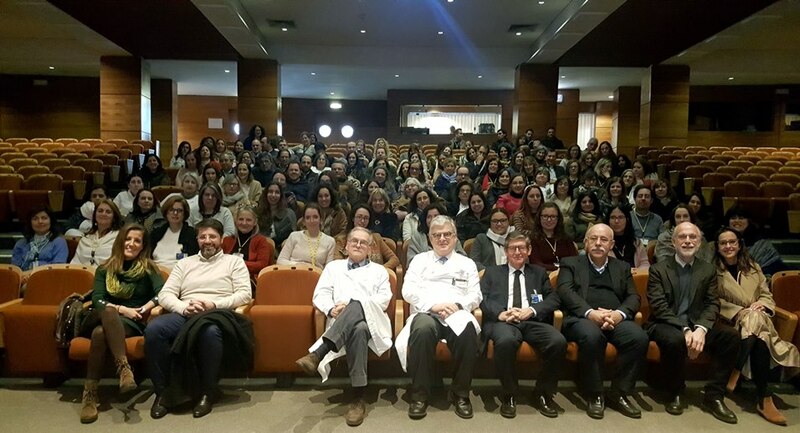 A lively lunch followed, but not before a “Marcelfie” with all the Faculty staff.